Inspiration for Loop came from the rings around the planet Saturn and Loop the Loop is an extension of that design, with continuing, swirling rings of steel. The fire makes a dramatic statement – with flames from an invisible burner leaping up through a sculpture of extending steel loops. 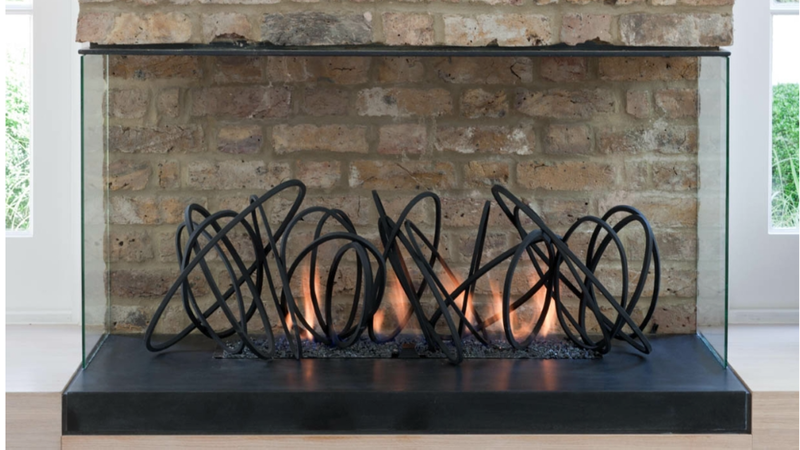 Created in any size, Loop The Loop works beautifully in a wide or open fireplace where the endlessly swirling steel rings offer maximum impact.